You can book your own flight and arrive any date you choose, but please keep in mind that orientations are only held in Auckland and you will want to be sure not to miss out on this valuable program inclusion. We will use your confirmed flight itinerary to book your arrival accommodation in Auckland. The North Island is an exciting mix of busy cities and peaceful countryside. Maori culture is a strong feature in the North Island and the opportunity to experience Maoritanga (Maori art and culture) is one of the highlights of any journey through New Zealand. The North Island is known for unspoiled beaches, immense Kauri trees and volcanic thermal activity. Visit Auckland, Northland, Waikaito, Bay of Plenty, Taupo and New Zealand’s capital, Wellington. 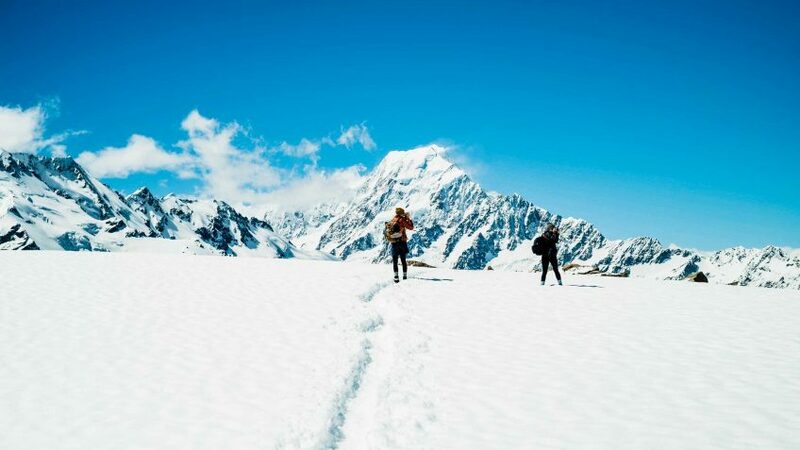 The South Island, or the Mainland, is a showcase of everything New Zealand is famous for. The landscape is diverse and beautiful, from farmland to mountains, deserted beaches to rainforests, and glaciers to vineyards. It provides the ideal environment for outdoor activities. 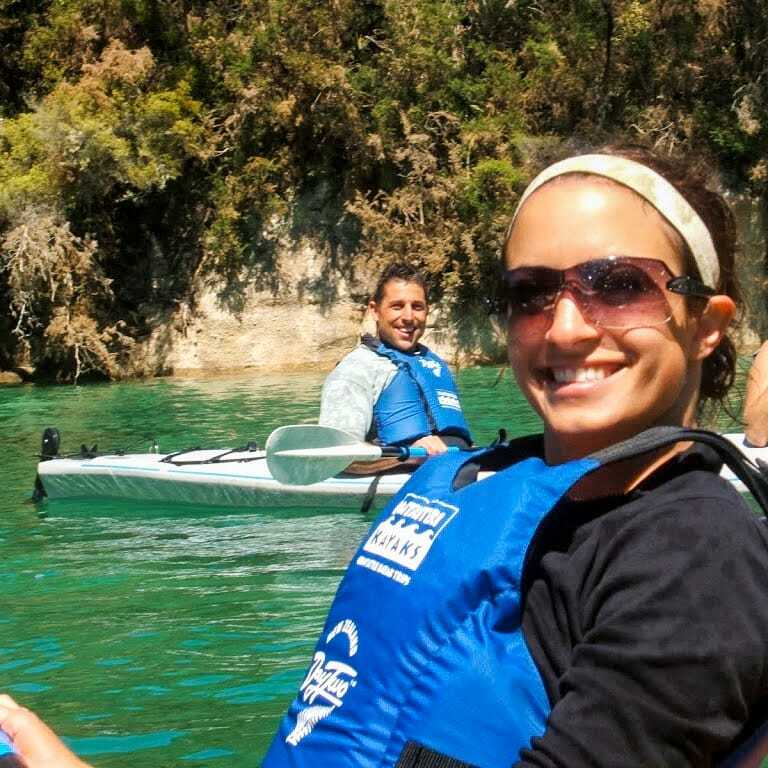 Skiing, jet boarding, bungee jumping and world-renowned tramping are but a few of the activities you can experience. 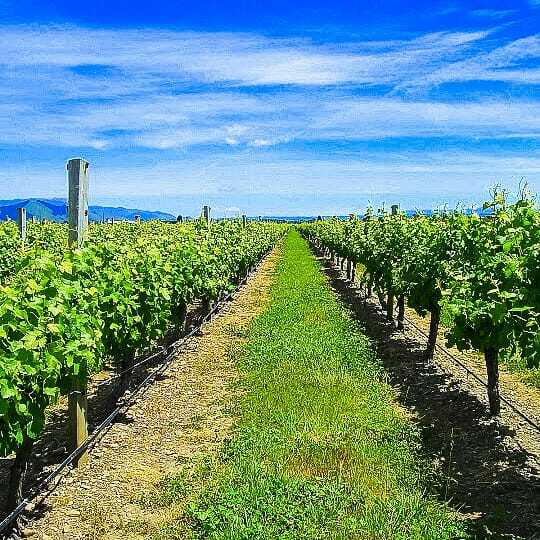 Visit Nelson and Marlborough (check out the wine festival held every February), West Coast, Canterbury, Queenstown, Otago and Southland. Bungee Jumping originated in New Zealand so it is a must do activity. 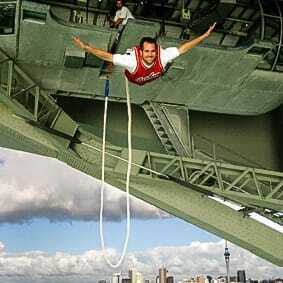 The Auckland Harbor Bridge Bungee is a great first try. It’s a 40 meter fall with an optional dip into the harbor! America’s Cup Sailing – The America’s Cup is the world’s oldest and most prestigious sporting trophy and ultimate yachting regatta. 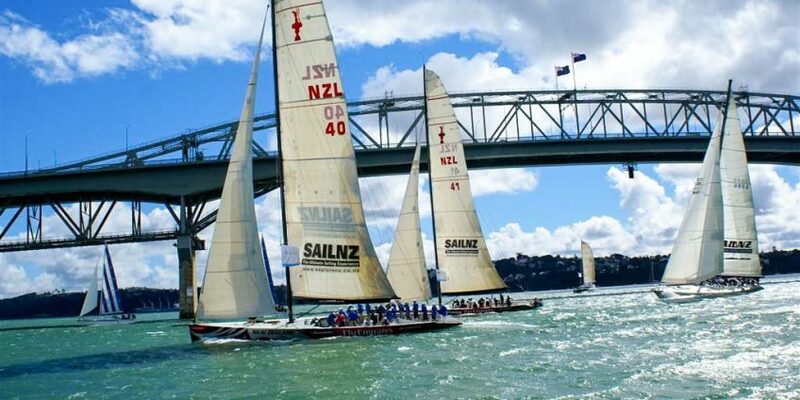 Auckland is the city of Sails so why not jump aboard a yacht and experience the city from the water. South Island – The most prominent ski fields in the South Island are Coronet Peak and The Remarkable www.nzski.com, Mt Hutt www.nzski.com/mthutt/, Cardrona www.snowparknz.com and Treble Cone www.treblecone.co.nz.